Please contact us for more information. We are happy to be as flexible as you like, so let us know what you would like to change. Day 1: Arrival in Addis Ababa. Transfer to hotel. Day 2: Drive to Rift Valley to visit Abyata Shala National Park visiting Lake Zway en route. Overnight stay in hotel in Lake Langano. Day 3: Drive to Arbaminch. Overnight stay in hotel. Day 4: Early rise. Drive to Dorze village then on to visit Netchsar National Park. Overnight stay in hotel. Day 5: Early morning boat trip in Lake Chamo then drive to Konso. Overnight stay in hotel in Konso. Day 6: Drive to Turmi. Overnight stay in Turmi camp. Day 7: Visit market (if open) or alternatively visit Turmi village. Overnight stay in camp. Day 8: Drive to Demaka to visit the other Hamer tribe. Overnight stay in Turmi camp. Day 9: Drive to Karo. Visit Karo village. Overnight stay in Murulle Lodge. 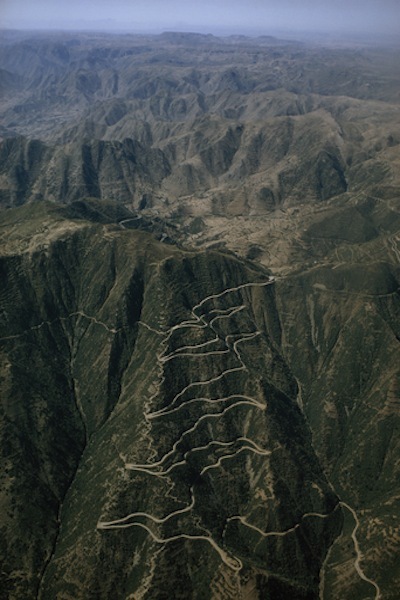 Day 10: Drive to Mago National Park. Overnight stay in camp ground. Day 11: At sunrise visit Mago National Park visiting Mursi en route. Overnight stay in Hotel Jinka. 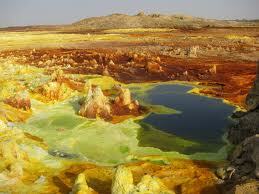 Day 13: Drive to " El Sod" for Borana (Oromo people) salt extracting and at Dublock for singing. Overnight stay in Yabello. Day 14: Drive to Awash .Overnight stay in hotel. Day 15: Visit the Awasa fish market and drive to Addis Ababa hotel. Day 16: City tour of Addis Ababa. Departure. Please contact us directly with any enquiries with regards to any changes in the itinerary. We are very flexible and would like to accommodate in any way we can. Day 1: Drive from Addis Ababa to Bahir Dar. Visiting on the way, the Monastery of Debre-Libanos. Day 2: In the morning enjoy a boat trip to the island monastery of Lake Tana. See Ura Kidane Mehiret and Azowa Mariam. Day 3: Drive from Bahir Dar to Gondar. On the way, stop over to see the Rock formations and enjoy an afternoon city tour to a 17th century palace, the bath of King Fasildes and see the many mural paintings in the church of Debre Birhan Selassie. 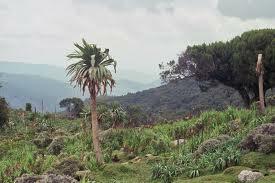 Day 4: Drive from Gondar to Debark via the spectacular Simien Mountians. Enjoy a marvelous view of the national park, and continue your drive to debark. Day 5: Drive from Debark to Axum through Tekeze Valley. Beautiful views can be seen here. Day 6: Full day city Tour of Axum. Day 7: Drive from Axum to Mekella visit the Church Museum. Day 10: Drive from Lalibella to Kombolcha. Please contact as with any requests for changes to the itinerary - there is nothing we cannot do!